The deadline for joining MSYP 2019 as international and local teaching staff has now passed. For any inquires you may have, please get in touch with us at mostarsyp@gmail.com. 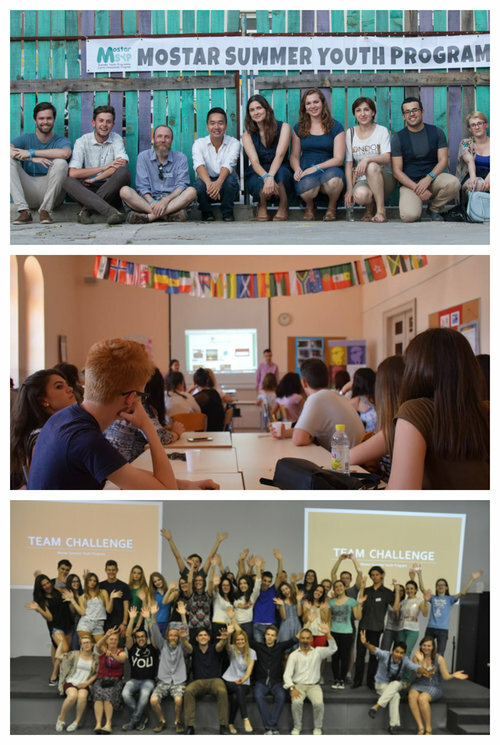 MSYP is a unique and established free educational summer program for school students aged 14-18 from in and around Mostar. We are recruiting inspiring individuals interested in volunteering to teach with us this summer. You must be aged 20+, have experience working with young people and be comfortable working in English. In previous years, MSYP has featured workshops and courses on a diverse range of subjects including: Art History, Media Studies, International Relations, EU Policy, Ethnographic Techniques, Study Skills, Social and Political Activism, Event Management, Business Development, Creative Writing, Multimedia Storytelling, Economics, Human Rights, Theatre, Sustainable Development and Social Project Design. This year, we are particularly interested in hearing from applicants who are interested in teaching courses in the following subject areas: psychology, philosophy, the natural sciences, the arts, civic engagement and activism, media and communications and anthropology. Local and international teaching staff applications will be processed on a rolling basis from mid-February until early March. The current deadline is Sunday 3 March 2019. We encourage all those who are interested to proceed with submitting their application as early as possible. Once you have submitted your application, please expect to hear back from us within 7 working days. The selection process will include an online interview. Please read the job description before applying to teach. It is important that you understand the role. To apply to teach at MSYP please read the job description first and then fill in the online application form.